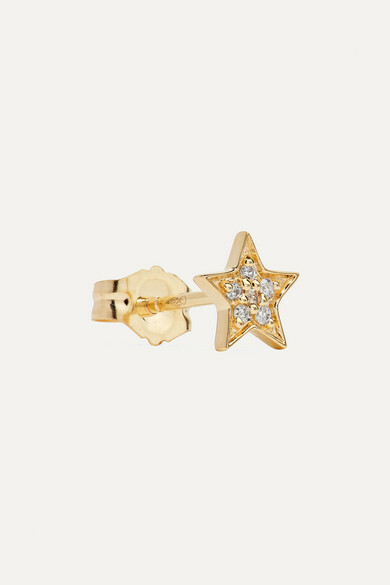 Celestial forms are a key part of Andrea Fohrman's collections and this star earring is one of our favorite pieces. Handmade from polished 14-karat gold, it's set with 0.03-carats of diamonds that shimmer softly even in low light. 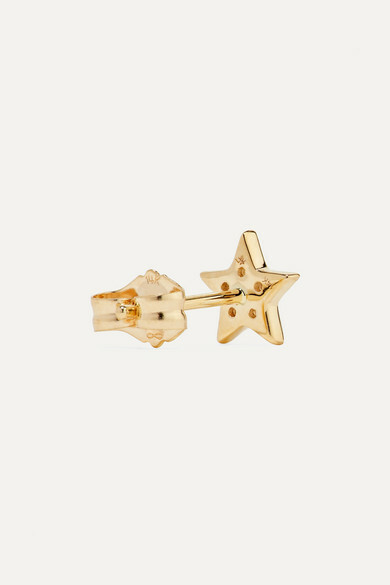 Wear it solo or alongside the equally dainty moon stud. Shown here with: Les Girls Les Boys Tank, Stella McCartney Jacket, Andrea Fohrman Necklace, Andrea Fohrman Necklace.